ELIZABETH (MARY) STATON (abt 1775 – aft 1830) was born in Amherst County, Virginia the daughter of William Staton and Mary Unknown. Elizabeth (Mary as she was known to her family) lived in Lexington Parish of Amherst County during her youth, where as a young woman, she met Jacob Reede (Reid). 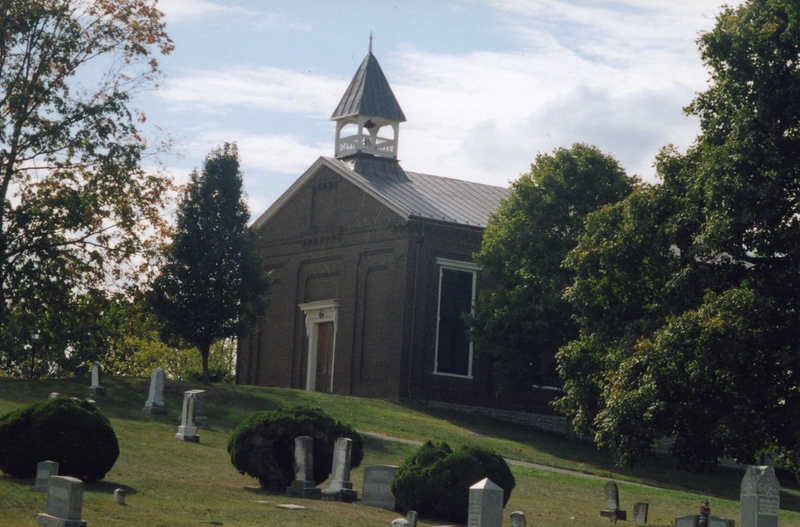 They were married on 30 May 1792 by the Reverend John Poage Campbell, associate minister of the Oxford Presbyterian Church of Rockbridge, Virginia. 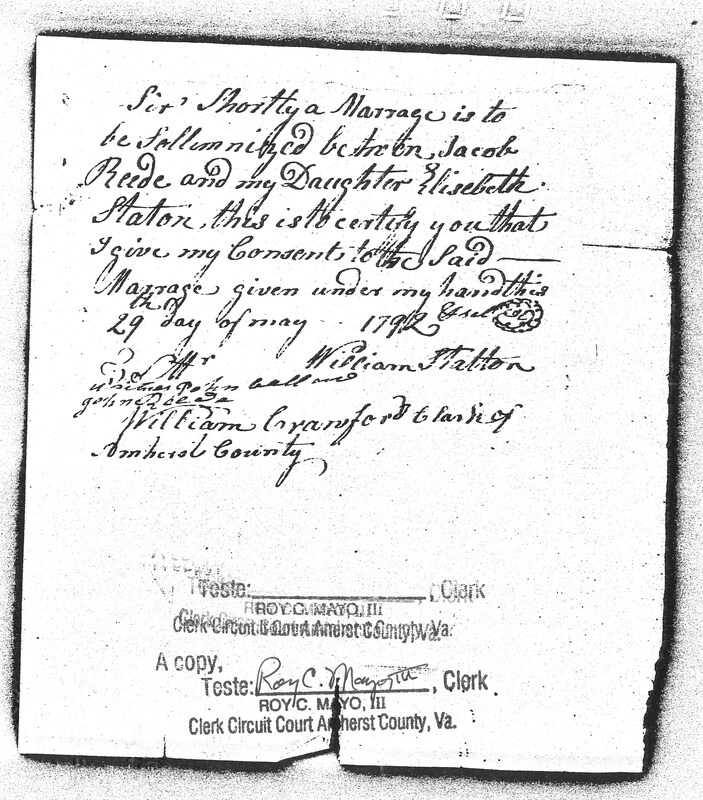 Mary was under age at the time of her marriage, so by Virginia Commonwealth law her father was required to provide written consent. Mary and Jacob lived in Amherst, and then in neighboring Rockbridge County, for the first three years of their marriage nearby her family and friends, including Ballews, Callaways, Colemans, Higginbothams, Pettyjohns, Ruckers, Wades, and Warrens. Sometime in late 1795, Mary and Jacob, along with her parents, moved to Oglethorpe County, Georgia. We believe that some of Mary’s siblings also joined in the move to Georgia. Mary lived in various Militia Districts within Oglethorpe County the remainder of her life where her 9 children of record were all born. We are not certain when Mary died, but it was sometime after 1830 where she and Jacob appear in their last census together. More information regarding Mary’s life will be posted as it becomes available. Followed my line to Horatio Reid in Fairfax, VA. His son Edwin C Reid is my direct g;g;g grandfather. Trying to find the relative who immigrated to virginia and from what country.